Wright is committed to collaboration with the Scientific and Research community by offering a program which plays a vital role in expanding and improving patient care through the support of Investigator Initiated Research. Wright’s Investigator Initiated Research Program serves as an option to ensure that the promising advancement of medical and scientific knowledge related to extremity products, relevant disease state and functional impairment remains up-to-date. The program is open to all researchers globally who are interested in conducting their own research. Depending on the type of research, Wright may provide support in the form of medical devices, instruments or funding for preclinical and post-market clinical development activities. The request must be within Fair Market Value (FMV) for the consideration given and must be on-label if the funding or support requested involves the use of Wright products. 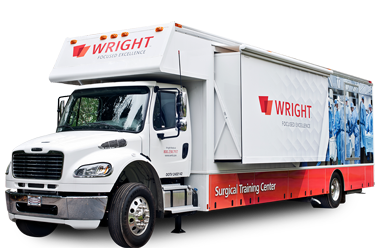 If approved by Wright’s internal process, funding will be managed through a contractual agreement between Wright and the Research sponsor. You may complete the form, upload your CV, provide protocol and budget information by clicking the button above. Or you may reach us directly by email at [email protected].